One of the ways in which busy working men and women can still lose weight without losing any of their precious spare time, which can often be at a premium these days, is to look to some of the diet food delivery companies that are very popular right now. There are several which are worth taking into consideration, but this article will focus on Bistro MD. This is a company that provides very high quality diet meals in its menu and while it may cost more than the likes of Nutrisystem etc, it is worth the extra cost to have the quality food that, let's face it, is the very least we deserve! If you take a look around online, you're sure to find many good reviews and while there are some that are very informative, few are completely unbiased. This is usually down to the fact that most reviews of any weight loss product have to justify their very existence by promoting said product with an ad of some description. This is in order to provide the author with a reason to research and write it in the first place. Here we are doing things differently in order to help people make decisions based on the facts and not an out-and-out sales pitch. This is just going to be an impartial look at what they have on offer and a conclusion as to whether it is worth taking on board. Okay, first up we will look at the benefits of this diet system and what makes it better than its rivals. It matches other companies in terms of delivery service and does what they all do in providing the dieter with ready to eat meals that go from removing the package to ending up on your table via the microwave in scant minutes. The variety of the meals on their menu is comparable to most others which means that you can eat different meals every day to stop you getting bored. Boredom is one of the biggest diet killers known to dieters, so by removing that problem, chances are you are going to stick to this one much better and for longer. You get one week delivered in a batch of food and you choose whether you want 5 days or 7 days food per week. If that sounds strange, the idea is that some people like to eat "diet food" during the week and then have weekends off to eat out at restaurants or with family, so this gives you the flexibility to do that. You can choose to include snack bars in your order if you think you'll feel hungry between meals. The quality of the meals is what sells this program and on that score, you will not be disappointed. All meals are freshly prepared and cooked in house by Bistro MD's own gourmet chefs, then frozen and packaged ready for shipping. There is little delay here and that means you get your food very fresh and that ensures the best quality you are ever likely to get form an diet meal delivery service bar none. Next up we'll take a look at the downside to this dieting program. Happily, there are not many bad things to say about it, but here goes with what we have. The meal size (portion control) may be seen as small by some dieters and that can have a tendency to make them feel hungry after eating. What you have to remember here is that it is a diet and diets are designed to help people lose weight. No one will lose weight by eating large meals, so what this program does is get you used to eating smaller meals. Over time this becomes your usual way of eating so that when you complete the diet, you are far less likely to put any of the weight back. Remember, it was probably large meals that helped to get overweight in the first place! The snack bars will help stave off hunger between meals but you can help yourself here by drinking an 8oz glass of plain water before each meal. This helps you to feel more full after eating and aids efficient digestion, plus water is calorie and additive free! What Does Bistro MD Cost? The cost is often the decision maker or breaker. You pay per week of food, so you don't have the big outlay that you do with say Nutrisystem where you pay per month of food. But the cost is considerably higher and you have to decide if you want to eat the best quality meals and be prepared to pay for them, or go with a cheaper system where the food will contain more processed meals of lower quality. The exact prices for the various plans are shown on the official company website and are subject to change. This is the reason why I do not publish them here, since any changes may not be picked up right away and I don't want to mislead anyone. You pretty much get what you pay for, so in the end, the decision will probably be heavily influenced by your budget and what you can or cannot afford. All in all, this is an excellent way to lose weight as long as you can afford the higher cost in comparison to Nutrisystem or similar programs. The quality of the food is very high and it really beats out all the opposition. 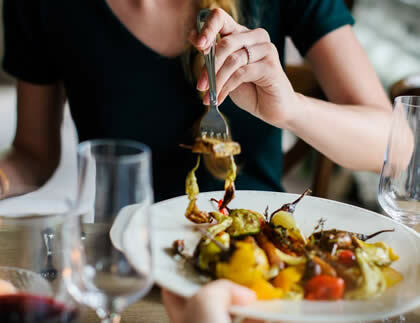 You can tailor your menu to suit your individual needs, so vegetarians can pick out a menu of meat-free meals, while diabetics, or those with gluten intolerance can choose meals to suit their needs. It is flexible and of a very high standard and you will lose weight on this diet as long as you stick to the meals they provide and don't go snacking on forbidden fruit! Further Reading: There is a more detailed review of Bistro MD that you can read here: [TBA] that can give you more of an insight of what you can expect from this diet program.